By clicking in the MAPPING menu (Fig. ) on Operations on UV table the widget presented in Fig. is opened. There, by clicking on the buttons in the column on the left, we run the corresponding procedures, some of them described below. We strongly recommend to look at the adopted parameters (in the central column) before executing them. 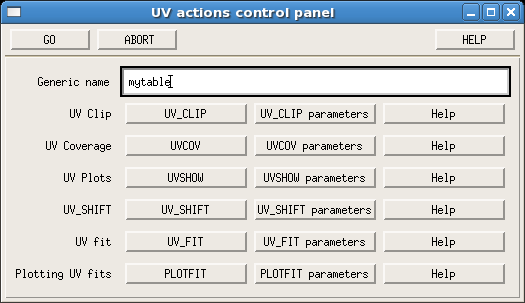 Figure: Operations on UV table, from the MAPPING menu.